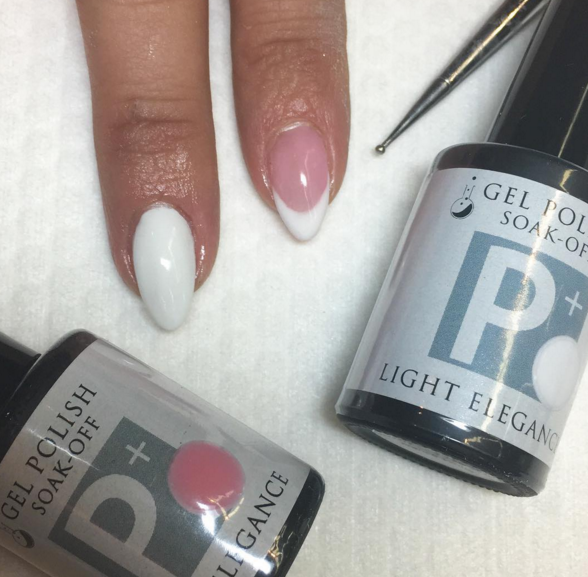 NAILPRO Competitions 2018 sponsor Light Elegance demonstrate how to use P+, it’s a soak-off system that can add a layer of protection to the natural nail (P+ Base Coat) and a layer of high-shine (P+ Top Coat) that can last for weeks. Watch the video below live from NAILPRO Sacramento 2017 show floor to learn how use the P+ system for natural nail overlays. Plus, see a tutorial on how to use white and pink shades to execute a French tip using a dotting tool. What do you think of this cool technique? Let us know in the comments below! Read more news from NAILPRO Sacramento 2017 here.